Spring: Yozakura (night cherry blossom), capturing the colours of cherry blossoms on defrosting snow. Summer: Yodaki (night fire), capturing the colours of reflections of camp fire on the river. Autumn: Yonaga (long night), birds on the river in a full moon night. Winter: Shimoyo (frosted night), frosted river in moonlight. It took me a long time but here it is, the last of the quartet: Yonaga. 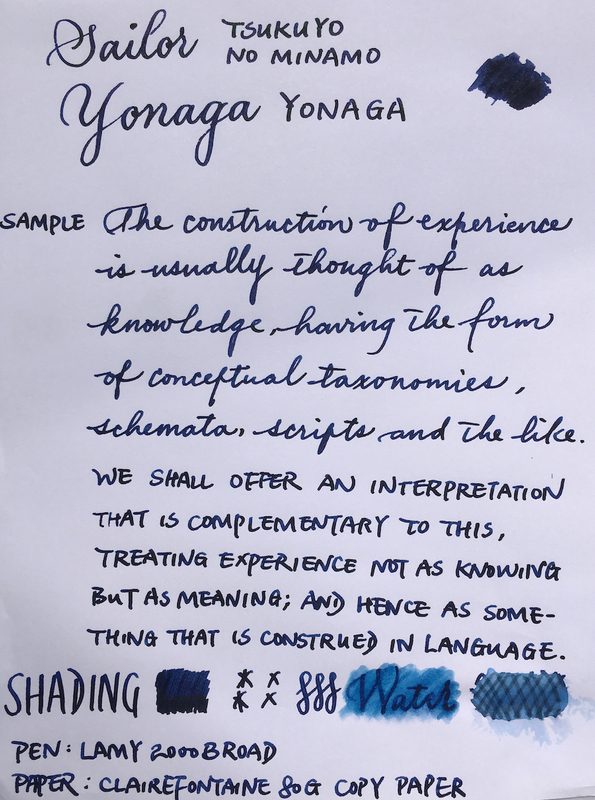 Yonaga is a pretty dark blue that writes very wet and smooth. It has some kind of water resistance. It sheens quite easily but the sheen itself is quite subtle. It's usually green, but it can also be red sometimes. When you make a splash of it there's a double sheen of red and green. (You're not mistaken if you think this ink looks familiar. 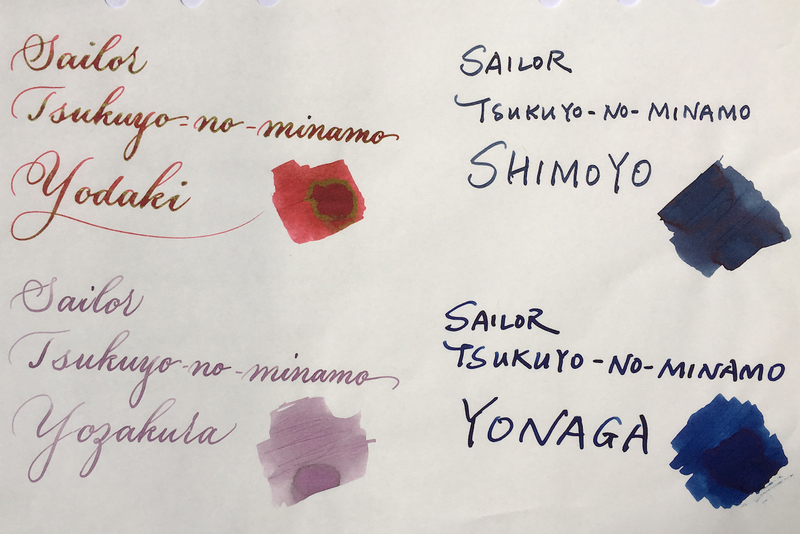 To my eyes this ink is basically the same as another much rarer Sailor ink: Sailor Shosaikan Seiran: see reviews from Visvamitra and White_Lotus. Both these inks have that same kind of subtle sheen of red and green. If you love Seiran but find it hard to get, Yonaga is a much more accessible replacement. PS. : Visvamitra seems to find that Seiran dries out quickly on the nib. I can't say about Seiran but Yonaga doesn't have this problem for me. Edited by Lgsoltek, 10 June 2018 - 11:02. Where would we all be without such wonderful reviews from all you wonderful reviewers / enablers ? I thought you were more of a "Shimoyo" kind of guy? Just looked at all four linked reviews and wanted to let you know how much I appreciate and admire your reviews. Thanks for the review, LG. While the color seems similar to the van Gogh Blue, I'm a sucker for green sheen so I'll probably end up getting this one, too. Been using this for about 2 months and only just now finally observed the green sheen - it's *very* subtle and hard to see over the red sheen, not at all like the more obvious bright green on Kana-cho Midnight. Still, the color is quite nice, a very dark blue, almost blue-black yet still definitely blue. What I'm most impressed with is that it doesn't dry out in the not-very-airtight JIFs when left for a day or two like other Sailors (and I used it to do sudokus with virtually no problems from having it uncapped at length) and discovered when moving it from the initial JIF I tested it in to another one that it flushed easier and faster than any other Sailor ink I have. p.s. - Just realized I've been mis-spelling it Yanada this whole time. eta: Just noticed that the green sheen is actually more apparent in the JIF it's now in than the one I tested it in, line is more like an M, too, even though it's an F nib, so probably a bit wetter line as well. Edited by chromantic, 18 August 2018 - 04:10. Wonderful ink, and wonderful review, thanks! Around here we call 20ml an "ink sample". Thanks for the review! I've got a recent bottle of Sailor Shikiori Yonaga, which appears to be very similar. Is it the same? Update: on a dry Nakaya nib, I do notice a fair amount of drying-up and hard-starting if the pen is uncapped for a couple of minutes. Sailor keeps taking their great inks and making them dumber and worse. Bungubox got nightmarishly expensive and switched to the awful bottle, the normal jentle inks have almost doubled in price, now this for the seaons? At this rate I'll have to drop sailor sei boku from my bucket list, if that explodes too. I find Yonaga to be a unique ink. 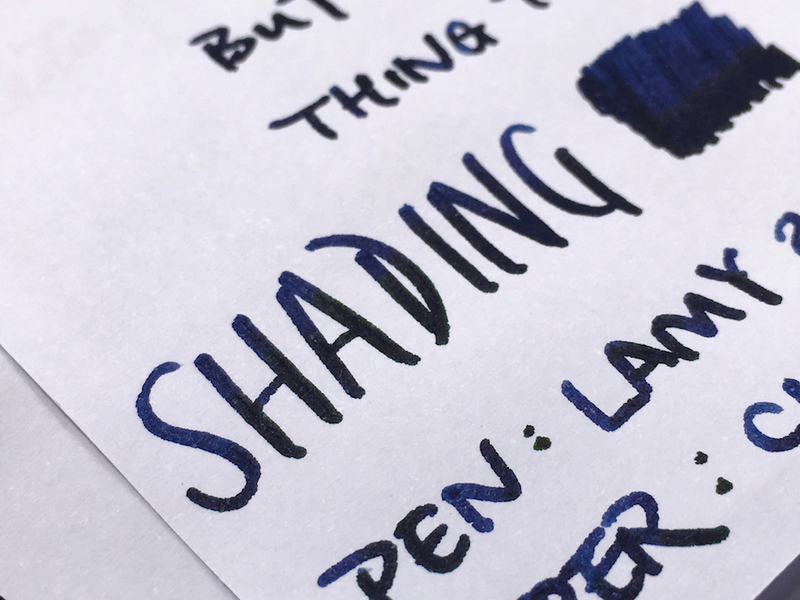 If you can't get a (too) dry pen to write pleasantly with this ink, then either toss it in the bin or send it in for repair. Nibs that are just a little bit (too) toothy suddenly feel great with this ink. It has outstanding lubrication properties and a stately, dark, saturated colour. 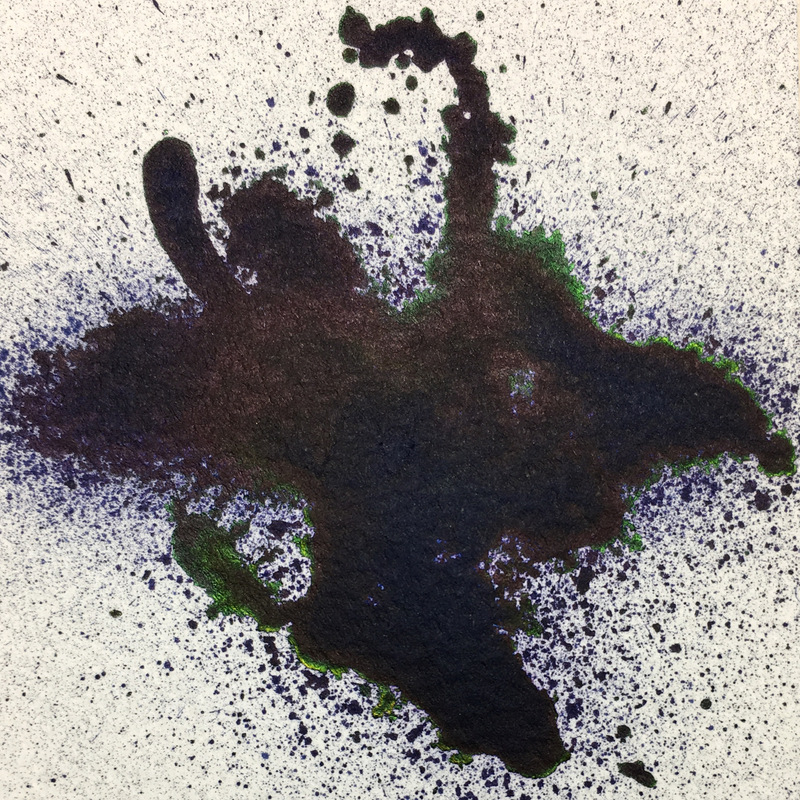 This ink and Kiwa-Guru black are two very special inks. I don't use them very much, though. They're not in all my pens. One pen each and those are in rotation with other pens. A bottle of each lasts me years so price is not really an issue. Very pretty and I am glad I got to see it. Thank you for another great review. 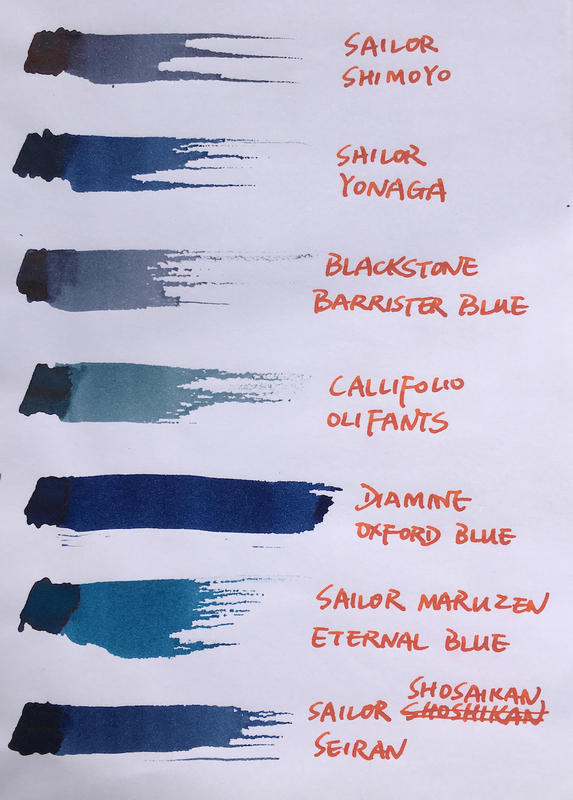 How would you compare the lubrication of this ink with the one Sailor Doyou provides? Thank you. Edited by aurore, 19 September 2018 - 20:15. I don't have them for a side-by-side comparison, but I'd say Doyou is more lubricating. But they are both very lubricating in the first place, just that Doyou is even more. Thank you very much. Perhaps the same goes as for wetness, doesn't it? Edited by aurore, 20 September 2018 - 09:09. Yes, Sailor inks usually excel at this.